Title: Revenue Recognition: Construction contracts are designed to meet specifications for the negotiations on how assets are constructed or combined to meet their ultimate objectives (Buschhüter, Michael & Andreas 2011). Contract constructions may involve fixed prices where some are subjected to the cost escalation costs. On the hand, a cost plus contract involves reimbursements or allowable and percentages of costs or the fixed rates present. The changes were made to meet the standards of Financial Accounting (IFRS 15 2014). Revenue is considered to be income earned from everyday activities as it goes by different names such as royalties, dividends, interest, fee or sales. Revenues that are to be recognized would be from the selling goods, providing services royalties and interest. However, in this case, revenue is to be recognized from the construction of contracts. Construction contracts may be either fixed or cost plus contracts or a combination of the two (IAS 11 2011). In this regard, a contractor needs to identify and determine what contract to use to know when to recognize revenue and costs as well. When the outcome can be properly estimated, the contract revenues and costs would be recognized as revenues and expenses respectively at the end of the contract period. A loss is also recognized as an expense by the accounting standards. In fixed price contracts, construction contracts are estimated reliably once total contract revenues are reliable. The revenues are considered as benefits since the effects will be felt positively by any business. Stages of contract completion, as well as, the contract costs have been reliable to meet the standards. All contract costs are to be measured reliably to account for the actual contract costs that would be incurred when compared. Similarly, for cost plus contract to be enforceable, the economic benefits of the contract have to be passed to the entity. The costs have to be also clearly and easily identified for measurements to be done reliably (IFRS 15 2014). The recognized revenue at the end of a contract is considered to be the percentage of completion. This whereby the contract revenues are matched with the contract costs and then reported in the books of account. Afterward, the contract revenues and costs are recognized as revenues costs in the profit and loss account. The expected excess of costs over revenues is treated as expenses. If the outcomes are not measured reliably, the revenues will not be recognized and perhaps not even recoverable in the business. An entity will then disclose the revenues recognized during the accounting period as techniques of arriving at the revenues will be recognized as well. The International Financial Reporting Standard had to be formed by the Internal Accounting Standards Board; IASB to provide rules and procedures on how to account for revenues that are from customers. There were significant differences between IASB and the IFRS when it came to the definitions of revenue. Even though they were almost similar, the different understanding of revenue resulted in different ways of treating revenue in financial accounting. The IASB thought they had not given enough revenue standards, policies and procedures on how revenue was treated (IAS 18 1993). The IASB began working on the issues to try and formulate ways it could solve the issue from 2002.Their first review paper was released in 2008 as they further discussed it and gathered information from relevant sources. Afterward, a release on the exposure draft was done proposing the new accounting standards in 2010 and 2011. After a long process of deliberations and reviews that took several years, the IASB issued the final standard on 28th May 2014. Changes made about the IAS 18 included recognizing and measuring financial tools revised in 2003 and the 2004 revision of insurance contracts. In 2007, the presentation of financial statements was reviewed through amendments in the different terms used. Their first issued review in 2008, involved investment costs in jointly controlled entities and subsidiaries as well as improvements on the IFRS. The same year also saw IFRIC agreements on issues relating to the constructions of the real estate. The IFRIC 15 also dealt with issues of the non-monetary contributions by investors in entities that are jointly controlled as they evaluated all legalities in leasing or substance transactions. Barter trade and service concession agreements were also made as they issued customer loyalty programs in 2007 (IAS 18 1993). The IFRS 15 model follows procedures that begin with the; identification of the contracts as well as all individual parties involved. Transaction prices are also determined as the prices are allocated to the different obligations in accounting. Revenues are finally recognized as the performance obligations are fulfilled. The amount of revenue to recognize and when acquiring costs are capitalized as assets are under the guidelines of the IFRS 15. Any of the expenses not capitalized as assets are considered to be expenses incurred. After all proper recognitions are reporting is done, financials are to be properly disclosed by the company. The new revenue recognition standards had left out key areas that bring in revenue and had not been recognized. New standards on how to recognize revenue had to be set for businesses to follow by the relevant bodies. The objective of the new set of rules and procedures is to explain how the different revenues would be treated. 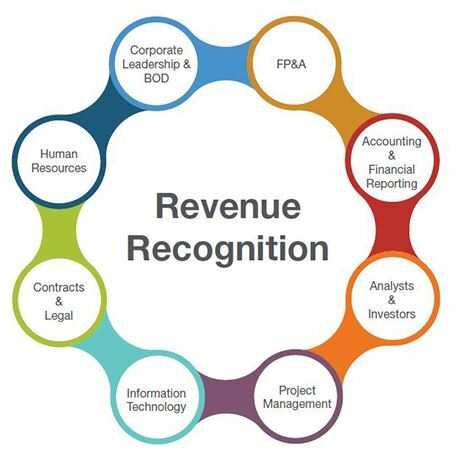 Revenue recognition is recognized when it estimated to bring economic benefits that are measurable to the business in the future. Therefore, practical guidance is given on how the criteria will be met. The International Accounting Standards Board adopted previously issued the construction contracts and the new standards of recognizing revenue. IAS 18 was put in place to replace the former methods of recognizing revenue while the IAS 11 replaced some accounting rules on the construction of contacts (Buschhüter, Michael & Andreas 2011). This is to help in knowing how to treat costs and revenues that are associated with the nature of activities undertaken. Also, due to the then existing rules, changing to new standards had to take long processes of deliberations that were time-consuming. Steps had to be followed as described above as company’s found it hard to easily and quickly adapt to the new set of rules. The new set rules had to be then applied first to see if they would meet the specifications with no interference of other accounts that would result in imbalances in the financial statement and misappropriation and misallocation of resources. Changing one side would have to result in changing of the other side to cancel out the effects. For instance, in ledger accounts, a debit entry has to be followed a credit entry and vice versa is also true. What people do not know is that different firms have different accounting rules they follow. A majority however, follow the international standards while others follow the U.S. GAAP principles (Kieso, Jerry & Terry 2010). Unlike the U.S. GAAP, the International Financial Reporting Standards does not always give extensive regulation prompting the need of having some exercises in judgments in some instances. The U.S. GAAP accounting is based on standards while the IFRS focuses more on principles. The accounting differences have made the financial comparison between different organizations difficult. For instance, actuarial gains and losses are treated differently. They are treated as off-balance sheet items by the IFRS standards unlike under the U.S GAAP. The off-balances in the balance sheets would cause volatilities and fluctuations. Therefore, the IASB is trying as much as it can to harmonize the differences in the standards. This would also take time as the harmonization would require changes in almost every aspect of accounting (IASB 2006). Adaptation by firms would take time as well making it a difficult and a long, tedious process. The important principle of IFRS is that a company would have to recognize revenue for it to be related to the transfer of the commodities and services that were promised and what the company is expected to get. Services rendered depend on the agreement of the specific time it should cover. The period might exceed one accounting period as would be expected. An accounting period is often considered to take one year. This, therefore, means that more than one accounting period takes more than one year. The work done at construction contracts usually take more than one accounting period. Therefore, rules have to be set that best suit the situation. One of the methods is to recognized revenues or profit at the end of the contract. This would be through following the IAS 18 – Revenue (IAS 18 1993). Recognizing profit at the end of the period does not show that profit was accrued. Under the IAS 11 all revenues and costs will be matched to the accounting period and documented at the end of each financial period (IAS 11 2011). Recognition of profit at the end of the contract would see the company reporting spikes or rises in profits that may not often be matched with the accruals. This is because the revenues would have accumulated to amounts exceeding what would have been recognized in one accounting period (Ursachi, Antonela, & Geanina 2014). In this regard, revenues and costs are only recognized once estimations of the outcome are reliable. As stated earlier, properly estimated outcomes from contracts should be reliable for use and interpretation. An expected contract loss should be recognized immediately. The completion stage would be calculated on the basis of sales, costs, and physical proportions. Revenue recognition done at the end of the construction contracts is known as the percentage of completion method. The reported revenue and costs would later be credited to the proportion of work that was completed (IAS 11 2011). The contract revenue is recognized as revenues while the contract costs as expenses in the profit and loss accounts. Similar to when accounting was done in one accounting period, expected amount that exceeds when contract costs are more than contract revenues are treated as expenses. Buschhüter, M & Andreas S 2011, ‘IAS 11–Revenue Recognition & Construction Contracts’, Kommentar Internationale Rechnungslegung IFRS. Gabler, 374-391.
International Accounting Standards Board Revenue Recognition: (IASB) 2006, ‘International Financial Reporting Standards (IFRS’s): Including International Accounting Standards (IAS’s) and Interpretations’, International Accounting Standards Board. International Accounting Standards Committee 2010, Revenue Recognition – ‘IAS 18’ Revenue, London: IASC 1993. Kieso, E, Jerry W, & Terry W 2010, Intermediate accounting – Revenue Recognition: IFRS edition. Vol. 1. John Wiley & Sons. Ursachi, Antonela, & Geanina M 2014, ‘IFRS 15–revenue from contracts with customers – Revenue Recognition,’ 2nd International Conference-2014. If you enjoyed reading this post on Revenue Recognition, I would be very grateful if you could help spread this knowledge by emailing this post to a friend, or sharing it on Twitter or Facebook. Thank you. The main aim of this article is to highlight the risks and security threats faced by a Hong Kong based online supermarket. It typically examines the status of current e-commerce businesses across Hong Kong, particularly the ones specializing in fresh produce. The careful analysis of facts and figures based on this information shows that there are several risks and security threats associated with online supermarkets. The risks can be broadly categorized into primary and secondary, and can be further sub-categorized. For the safe running of an extremely vulnerable (yet profitable) online business, it is quite important to chalk out the strategies and measures beforehand. The report concludes by enlisting the various risk management measures that can be applied efficiently to protect the business in times of a crisis. Online shopping has become a part and parcel of everyone’s life. It is a fact beyond denial that e-commerce has slowly but gradually posed itself as a market takeover business, ready to outpace U.S. brick-and-mortar in the upcoming decade. Numbers suggest that it will reach a total of around $370 billion by the year 2017. The extensive growth of e-commerce is irrespective of the geographical location in contrary to the popular belief that western countries are much more advanced in this business. E-commerce industries are budding in countries like China, Japan and India, and these companies are equally competing in the global market. For instance, Chinese e-commerce Company – Alibaba group has been giving a tough time to giants like Amazon and Walmart. Recent statistics has shown that the numbers are rising in countries like China and India, and they are even successful. On the other hand, over the past few years the numbers have steadily declined in the West due to the stringent government policies. The tax laws have become stricter, the revenues have gone down and there are numerous other reasons for this decline. These stats clearly reveal that why Hong Kong has become an ideal place for a new online based business. There are other benefits as well. The initial capital and fund requirement is low. The friendly government policies like 0% corporate tax for outward-bound transactions, no sales tax make it even easier for the new companies. So Hong Kong is an ideal place for setting up an online business. Despite several policies and benefits, there are potential risks even in Hong Kong. Every business has its unique set of risks. A physical warehouse situated in an earthquake-prone area, for instance, can go down at any point of time. An online store’s payment getaway can be brought down by an anonymous hacker. Likewise, online companies in Hong Kong also face a wide variety of risks. On the other hand, security threats have become a major issue for online companies over the past few years. Cyber-attacks have led to the loss of revenues. Many people have had a psychological effect on their mind questioning the safety during a purchase. So starting a business may seem very exciting and well-decided initially but as the problems slowly develop, they begin to diminish all the excitement that once used to exist. An online supermarket based in Hong Kong is prone to all kinds of risks. The involvement of perishable items, dependency on online consumers and several other essential factors play a huge role in determining the success of the business. There will be risks, but there is no denying the fact that effective strategies can be devised to minimize them to a certain extent (if not completely). The next section presents an elaborate discussion on the various risks posed on an online supermarket specializing in fresh produce. The countermeasures have also been highlighted elaborately. This section talks about the potential threats faced by a typical online supermarket in Hong Kong and the measures to mitigate those threats. As the risks are exclusive to a typical online supermarket, it is very important to focus on the particular dimensions that define the risks, value and financial forecast for it. The following are a few issues that require investigations, analysis and interpretation prior to their acceptance. Social risks are an important constraint for every online-based business. One of the issues that will eventually crop up is Unsustainable Site Traffic. In the parallel online universe, site traffic and success are two sides of the same coin. Online Companies depend heavily on organic search capabilities in order to achieve sustained site traffic. It is a fact that online companies generally advertise through Google AdWords and other such mediums. Still, sustaining site traffic remains a sturdy and hard to deal with the challenge for any online company. Nowadays, Corporate Social Responsibility (CSR) is an important aspect for every company. There are regulatory organizations constantly monitoring a company on social and environmental grounds. Any violation can lead to huge amounts of fine. And, there is always a risk for companies (specializing in fresh produce) because the main source of raw materials is very closely linked to environment and other related factors. One of the most important and dreadful financial threats a business may pose is the risk of losing the main income source. Such horrifying moments may appear in any business where the business model may crumble in an instant without any warning, leading to bankruptcy. Once the online business starts to roll smoothly, nobody cares about the worst. There is a certain possibility of becoming complacent thinking that good times will continue till eternity. But the scenario may change entirely within moments and without any prior notice. For an online supermarket, the business is fragile during the initial stages. There is a lot of competition all around and there is not a consumer base yet. The stakes are high and a lot of money is involved. There is no fixed “return on investment”. In the case of other online companies, the market gradually becomes stable. But the scenario is not the same here. Even if the market becomes stable, the customers will always root for the cheapest and best products. There is always some company ready to shell out quality products at a lower rate to get a hold of the market. Again at times, the quality can degrade due to some unknown reasons. All this affects the revenue of the company. It is a matter of fact that most online businesses do not audit their financial records. As a result, in order to verify financial disclosures, the sellers have no other choice but to rely on secondary checks by using combined site metrics and industry benchmarks. If one such aspect of the website’s financial information does not fit with the site metrics, it could indicate that the particular financial information is fraudulent or flawed. In that case, the business may run the risk of being labeled as fraud and non-genuine. Staying unaware of the present market demands and trends can prove hazardous for any online business. Innovation is the key to success in these kinds of companies. The current trends of the market keep changing every now and then without any prior notice. On closer examination, it has been seen that sometimes a business can lead astray and not serve the demands of the market properly. It, therefore, runs the risk of becoming vague and unpopular among the audiences or customers. Every time it’s not about innovating a new product, sometimes a different approach is needed. And not everybody can do that. And that’s why a majority of the online ventures fail today. For instance, a majority of the online supermarket store sells discounted products to get a stronghold in the online market. This is a common approach used by almost all the sellers. After a certain point of time customers are not interested anymore. Why? Because they are bored to see the same adverts and the same type of deals every day. Some of the online companies take a major hit from this decline and are forced to shut down. And, this can happen to anyone. Starting a business is one thing, and managing it is totally different. The owner not only has to manage the funds and invest a lot, but a lot of physical exertion is required in order to ensure smooth flow of the business. Reliable survey reveals that 60% of the average businessman’s time is spent in working hard in order to make the company successful, and the rest of the time is spent on worrying about what is still left to be done. Although more often than not, the rewards of entrepreneurship outweigh the personal risks undertaken by businessmen, but it has also been observed that these risks prove to be lethal in more than a few cases. Security threats are a major concern among the online retailers these days. The number of hackers has grown over the past few years, and the consequences are worse than ever. From sites getting affected by malware to the breaching of firewalls and what not – the safety of online companies are in jeopardy. Nobody knows when a DOS (Denial of Service) attack will cripple the entire system or when the entire database is wiped out. Things can go haywire in spite of stringent measures. And, this kind of online attacks is even carried out just for fun. A simple example will highlight the present condition of cyber security throughout the world. A customer has a particular set of products in his cart waiting to checkout, scrutinizing the last minute changes. Once the payment is successful, the seller confirms that the products will be delivered within the next 24 hours. The hacker has already played his part in between. When the products are delivered the next day, the customer is shocked to find the irrelevant products. The hacker had changed the products in the cart. So the customer ordered something, and the online seller received something totally different. So, this customer will never visit the particular website again. And, the company gradually loses its customer base. Continuous and critical analysis and examination of business have led to the discovery of one fact: Risks in business cannot be nullified, they can only be minimized. While describing the various ways by which one could minimize risks and protect one’s business from threats, proper identification of the threats and its consequences must be clearly illustrated. After that, a company might resolve to a simple good risk management practice that includes contingency and vigilance arrangements or it might adhere to protective security measures in order to reduce the risk to a greater extent. Assessing the risk is the foremost job that must be undertaken because that would determine the necessary control procedures or security measures required to be implemented. A thorough examination of the available options must be performed in order to avoid investment in ineffective, expensive and unnecessary equipment. Careful planning can prove to be really instrumental in keeping the costs down. For example, introducing new changes at the time of building or refurbishment work may turn out to be profitable. Planning is a two-step process. The first one is forecasting because planning foresees the future. Forecasting is all about estimation techniques based on some predefined methods and proper analysis. Estimating the demand, revenues and the risks priorly can cut down the potential threats. Predicting the amount of particular item that a customer will buy the next month requires some amount of skill and a lot of analyses. A lot of wastage can be saved, which in turn reflects in the base revenue. Planning is the best way to devise some strategies (and the backup plans) so that a structured way can be followed while managing a risk. In the case of an online shopping website, the importance of cyber security increases manifold. Information security controls are the process, technical, policy and physical safeguards that are designed for the protection of sensitive data by mitigating the identified risks to its integrity, confidentiality and availability. Obtaining an excellent data security program that ensures control and management of identified data security risks is a must regardless of the type of online business. It will limit the organization’s vulnerability to data compromise and hence significantly influences operational, reputational, legal and strategic risks. Preventing embezzlement or employee theft can be difficult at times. The first and foremost thing is to recognize the signs of warning and, therefore, implement an efficient internal system of controls. The term ‘embezzlement’ is a fancy way of describing that the employees are stealing from the company, and it is a common scenario, especially in online-based grocery stores. A few signs have been interpreted below as warning signs of embezzlement. A fraudulent scheme is often covered up by atypical bad-debt write-offs. A decrement or little increase in credit or cash sale could indicate that a number of transactions have not been traced. Concealments of accounts receivable payments can be done by increasing the overall sales returns. Too many bounced company checks can be a result of funds that are siphoned out of the bank account. Often embezzlement is masked aptly by slow collections. In managing risk, insurance could act as a principle safeguard. And it must be noted that most risks are insurable. For any business occupying physical space, the first necessity is fire insurance. Product liability insurance comes next in the list. Some specialized insurance companies underwrite cash bond in order to provide monetary coverage in case of embezzlement, fraud and theft. The golden rule is to consider the worst case scenario while insuring against the potential risks. As the business develops and evolves, the risks and threats associated with it emerges side by side. But sure enough there are ways to prevent them, insure them, and minimize the damage if not nullify them. A business cannot exist without a particular set of risks. There’s nothing called a risk free business. It is never easy to run an online supermarket because there are lots of factors that are constantly changing, and so are the risks. Scheduled evaluation and efficient planning are the only way to keep a check on the dangling factors. No matter whatever the strategies are, they should be revised and updated from time to time ensuring an almost perfect way to mitigate the risks, and assure the consistent functioning of the business. Dozier, W. John (2008, July 30). Legal: The Top Ten Risks For Online Businesses. According to IAS 7 net cash flow from operating activities can be calculated using either of two methods; direct method and indirect method. The direct method shows operating cash receipts and operating cash payments; including cash receipts from customers, cash payments to and on behalf of employees, cash payments to suppliers; all resulting in the net cash flow from operating activities. The indirect method begins with profit before tax and adjusts for non-cash charges and credits such as depreciation and for the movement in working capital items. In simpler terms, the direct method looks at all actual cash transactions, while with the indirect method you look at the balance sheet items in relation to the previous year to find the cash inflow and outflows from operating activities while adjusting for non-cash charges and credits such as depreciation and goodwill revaluation rather than look at specific transactions. The main advantage of the direct method is that it shows the operating cash receipts and payments, this specific knowledge of the sources of these cash receipts and for what purposes cash payments were made is especially useful when trying to forecast future cash flows. The preference of IAS 7 is that the direct method be used but does not require it. The main benefit of the indirect method is that it shows the difference between reported profits and net cash flow from operating profits. There are differing views among national standard setters as well as within the business community. The main issue of disagreement being whether in all cases the benefit to the user outweighed the costs to the company of providing this type of reporting. The ASB in the UK has generally held the indirect method to be preferable, and has only encouraged the use of the direct method when the possible benefit of the users outweighs the cost of providing it in the new revised version of FRS 1. This is different to the general view of the IASC as well as the FASB in the USA who hold the view that the direct method is preferable. I’m of the opinion that this difference will result in companies giving greater consideration to which method suits them best considering the relevant costs rather than just relying on the advice of a particular standards board; which I think is a positive effect. David Alexander and Simon Archer the authors of National Accounting/financial reporting standards guide 2013 are of the view that this issue should be viewed from the perspective of the user rather than the prepared and therefore the most beneficial method is the direct method. In an article released by the Institute of Certified Public Accountants in Ireland (CPA) discussing international standards, the CPA expressed the view that most Irish companies are unlikely to adopt the direct method as it requires the segregation of VAT from cash receipts and payments during the year. This is likely to be expensive due to system changes as the accounting programmes are designed to identify VAT at the point of sale or purchase, rather than at the point of cash receipts or payments. Below I would like to provide a summary of Zotefoams Plc.s financial position and operating performance and in doing so analyse the liquidity, profitability, efficiency and gearing of the company. From looking at the five year trading report it is clear to see that Zotefoams Plc has managed to steadily increase turnover from £25.2m in 2011 to £30.1m in 2013 that is an increase of £4.9m which is a 16.27% over two years. Also operating profit (excluding exceptional items) has increased from £1.6m in 2011 to £2.8m in 2013; that is an increase of £1.2m or 42.86% rise over two years. Furthermore, earnings per share (excluding exception items) has risen from 3.2 in 2011 to 5.4 in 2013, that is an increase of 2.2 which is a rise of 41% over two years. In this discussion I have only considered figures excluding the impact of exceptional items as I believe these figures give a clearer view of its true performance and help forecast for the future more accurately, this is a company that is still at a very early stage of its development and hence is likely to have exceptional items more often now than in the future. A figure that should be taken in to consideration is the profit after tax, in 2011 it was £1.2m, in 2012 it was £2.4m, and then £1.2m in 2013, this does not shown a pattern of a down turn as the great increase in 2012 was caused by an exceptional item, this can be further understood by looking at the profit before tax (excluding exceptional items) whish was £1.3m in 2011, then £1.8m in 2012 and finally £2.7m in 2013; this clearly shows a pattern of strong growth over the last three years. Below, I have done ratio analysis in the areas of liquidity, profitability, efficiency and gearing to illustrate better the company’s performance in these areas. ROCE shows the company’s net profit before interest and tax in relation to total capital invested as a percentage. Generally a decrease in the ROCE percentage from one year to the next could signify various internal or external factors affecting their business, externally a more difficult economic climate for the company which could be caused by a general down turn in the industry or fierce competition, internally it is usually due to poor utilization of its total assets by those entrusted to run the company, either way it is the duty of the management to utilize the assets of the company to gain maximum profits. The ROCE has decreased from 9.52% in 2012 to 5.41% in 2013, this is a very major decrease, this would normally lead one to think that the management have severely underutilized the assets of the company showing a poor performance on their part, but on closer inspection it is clear that the results have been skewed as the 9.52% figure for 2012 is largely inflated, as the PBIT of £3.472m was inflated by £1.499m of exceptional items (reduction in administration costs) in the profit calculation, and a decrease in profits in 2013 of £1.074m due to exceptional items (increase in administration costs), had these exceptional items not been considered in calculating the ROCE it would have shown a strong increase between 2012 and 2013. The gross profit margin ratio shows the gross profit as a percentage of its sales revenue. This shows that it has increased from 22.65% to 25.94%, this is a positive increase of 3.29% from 2012 to 2013. The net profit margin shows the net profit before tax as a percentage of its sales revenue. It has decreased from 11.75% in 2012 to 5.32% in 2013; that is a decrease of 6.43%. This would normally be a serious issue to consider, but as explained previously the results have been skewed due to negative exceptional items in 2013 and positive exceptional items in 2012, had these items not been considered in this calculation it would have shown a positive increase. The current ratio is one of the best measures of liquidity. It is generally accepted that a ratio of 2:1 is a strong position to be able to meet the company’s short term liability responsibilities; the higher the ratio is; the more liquidity the company has, making it more likely to be able to cover its short term liabilities. Although it has decreased from 2.41:1 in 2012 to 2.18:1 in 2013, it is still over the accepted 2:1 ratio, therefore there is no reason for investors or the company to fear liquidity problems. Conventional it is held; the most ideal quick assets ratio equals 1. In 2013 and 2012 the quick asset ratio was comfortably over 1, although it has decreased to some extent. It is not good to have too high a current ratio or quick assets ratio, as this would signify the under-utilization of the company assets. The debtors’ collection period ratio shows the average amount of time taken to collect debts from credit sales. In 2012 it is at 80.7 days which has decreased to 74.9 days in 2013, these positive results show that the DCP has significantly decreased from the previous year signifying an improvement in efficiency, this supports the view that its credit control system has functioned more efficiently. The stock holding period ratio shows the average amount of time stock is held before being sold, it has decreased from 66.3 days in 2012 to 62.1 days in 2013, again it shows a improvement in efficiency showing that the company’s stock control systems are running more efficiently than the previous year. Gearing is calculated to show what proportion of a company’s total capital is provided by loans capital as opposed to equity. The greater the proportion of total capital is provided by loans the greater the vulnerability to a down turn in profits. This is because the interest on a loan must be paid regardless of the company making a profit. 33.3% gearing is conventionally accepted as medium/high gearing, although this does vary from industry to industry. The gearing ratio of 35.32% in 2012 is not considerably high, this has decreased to 31.02% for 2013; it has been brought down firmly in to the area conventionally accepted as medium gearing thus decreasing the company’s gearing vulnerability to a down turn in profits meaning it is not considered to be a high risk investment. 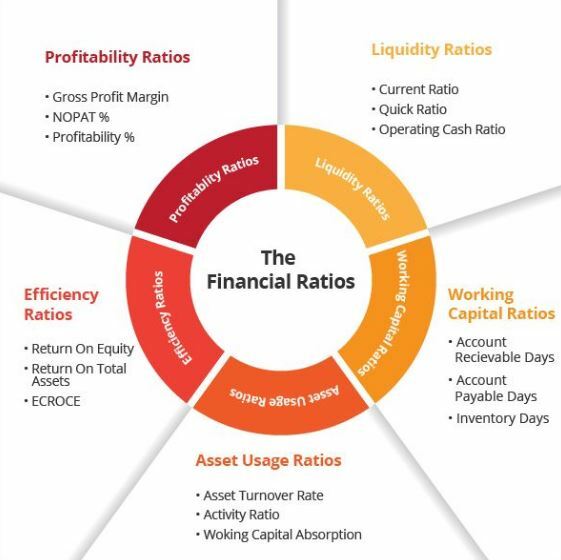 Ratio analysis in the areas of liquidity, profitability, efficiency and gearing are very important when trying to understand the financial position of a company, all of the data required for calculating these ratios are taken from the balance sheet and income statement. The balance sheet statement summarizes the value of total assets and liabilities, as well as owners’ equity at a specific date. The balance sheet gives the user a good understanding of the company’s value as you can see what it owns and owes. The balance only provides a snapshot of this information on the date of reporting as the items in the balance sheet could change the next day, furthermore the balance sheet can be manipulated in various ways such as incorrectly valuing assets such as work in progress inventory or incorrectly valuing buildings, plant and machinery. It is not straight forward how all items in a balance sheet are calculated. There are many ways that firms try to hide debt by not recording it on the balance sheet such as the well documented case of Enron who were keeping debts off the balance sheet by offloading the debt to special purpose entities (SPEs). It is important to any investor to know that the company they are buying a share into actually owns tangible assets (less liability) that back up the value of the company’s shares; this reduces the risk of the investment. Beyond risk to investment capital; the investor will look at profitability as this is the objective behind making an investment, for this purpose the income statement is very useful; as it shows net profit for the previous year as well as a breakdown of how this was calculated including figures for revenue, cost of sales and expenses etc. Analysis of previous income statements and the five year trading summary will help the user to get a good understanding of how well the company has been performing in the past. The income statement can also be manipulated, such as the abuse of one time charges in the income statement when the usage of one time charges is misused to result in reported profits being lower than expected in one year, and then be seen to dramatically increase the next year, resulting in share prices rising allowing managers and related individuals to cash in on shares purchased at a lower price the previous year. The cash flow statement shows all cash and cash equivalents entering and leaving the company for the reporting period. It allows investors to see how money is being spent and where it is coming from. It is generally held to be one of the more reliable financial statements as it is less open to manipulation as it deals with simpler and clearly tangible accounting items. Given this there are still ways to manipulate it such as dishonesty in accounts payable by counting cheques in the mail as cash in hand rather than money paid out or the choice of making payments late on purpose. Efforts have been made by the introduction of further legislation and tightening of regulatory frameworks as well as implementation of further standards; such as international auditing standards (IASs); to counter act these problems namely the Sarbanes Oxley act 2002 in the USA and similar provisions in the UK. By providing all three financial statements the user will be able to gain a good understanding of the company’s financial position and profitability; each of them provides different useful information. Furthermore it is more difficult to manipulate one financial statement and not result in contradictions with the others. The cash flow statement helps to back up the balance sheet and income statement. Reporting based on international reporting standards are very important, as it means that prepares of reports must treat accounting items as set out by international standards leading to more reliable and comparable financial statements for the user. Due to international auditing standards one would expect that auditors will find the cases where manipulation and fraud has taken place; which gives the investor more confidence in the financial statements that he must rely upon to make decisions. I would still advise any potential adviser to fully read all reports and notes beyond just the three financial statements. In this section I will discuss how Zotefoams Plc provides segmented information under IAS 14 and how this will change upon the adoption of IFRS 8 as well as consider the relevance of this information to the company’s current and potential investors. I would like to begin by explaining IAS 14 and segment reporting. Companies often carry on several types of business or operate in many different geographical locations, with varying opportunities of growth at different levels of risk relative to the geographical location or type of business. It is very difficult for a reader of financial reports to make judgement about the nature of different activities carried out by a company or what impact each activity has on the financial situation of a company unless some segmented analysis of the financial statements are provided. Segmented reporting is required to help the users of financial statement to more thoroughly understand the past activities of the company and thus make a more informed assessment of the company’s future prospects; as well as be aware what impact will occur on the company if there are significant changes in components of the company. All of this helps to assess better the risks and potential returns for the investor. IAS 14 was set out to standardize segmented financial reporting by companies. IAS 14 only applies to publicly quoted companies or those that are about to be. Zotefoams Plc is a publicly quoted company and therefore should comply with the provisions of IAS 14. IAS 14 does encourage non-publicly quoted companies to report segmented information, and if they do they should comply with its provisions. Revenue, sales to external customers and inter-segment sales disclosed separately, the basis of price setting should be disclosed for inter-segment sales. Depreciation and amortization charges, as well as other significant non-cash expenses or otherwise cash flows from operating, investing and financial activities in line with IAS 7 cash flow statements. Zotefoams primary segment reporting is reported by business area, the company sells two main types of foam which are Polyolefin and HPP. All of the above disclosures listed above for the primary reportable segment are made in the annual report. Furthermore, the revenue from external customers, segment assets; as well as capital expenditure (on property, plant and equipment as well as intangibles) are reported in the annual report for the secondary segment report which is done by geographical location which is separated in to: UK, Europe, North America and the rest of the world. All segment reporting is in accordance with IAS 14. HPP is a new product, it can be seen that the HPP segment is making a loss, this is expected as R&D is likely to cause expense to outstrip revenue at such an early stage, you can see from the segment report that the Polyolefin segment is making strong profits, this would not have been clear if segmental reporting was not provided. I will try to only discuss the differences between IAS 14 and IFRS 8 that are relevant to Zoatfoams plc. IFRS 8 has affected three main areas of segment reporting, they are; the identification of segments, the measurement of segment information and disclosure. In terms of identification of segments; IFRS 8 states that segments that sell primarily or exclusively to other operating segments of the company can still be deemed an operating segment if it is operated that way. This is different to IAS 14 which reduced reportable segments to be segments which gain most of their sales revenue from customers who are external, IAS 14 doesn’t oblige that the separate levels of a vertically-integrated company be deemed to be separate entities. I do not believe this will have much effect on Zotefoams Plc as they do not do any inter-segment trade, nor could it be said that from their company structure that it is a vertically-integrated company with separate entities in such a vertical chain to be deemed as separate operating activities. 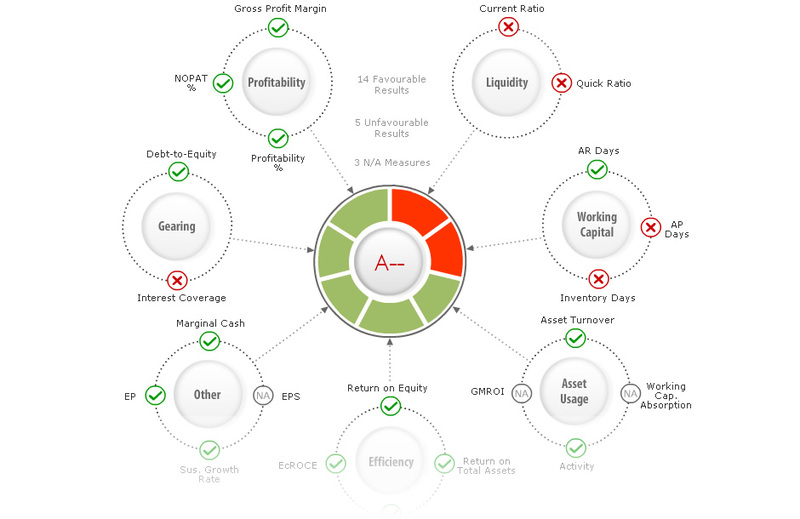 IFRS 8 requires that the information reported on each segment should be the same information that is provided to the chief decision maker for the activity of allocating resources to that segment and assessing its performance. This may mean for Zotefoams Plc that they may be required to provide more segmental information depending on their internal reporting practices. A major difference between IFRS 8 and IAS 14 is that IFRS 8 requires an explanation of how profit or loss, assets and liabilities are measured for each operating segment, rather than define revenue, expense, result, assets and liabilities for each operating segment. This results in companies having more control over what is included in segment profit and loss in line with their own internal reporting practices. As companies are given greater choice over disclosure this could put investors at greater risk as there will be more room for manipulation of information. Interest revenue and interest expense must be reported for each of the reportable segments separately if they are used to calculate segment profit or loss unless the majority of the segments revenue is earned by interest resulting in the chief operating decision maker making decisions to allocate resources or judging the performance of the segment based on information mainly on interest revenue. The aim behind revising IAS 1 was to make it easier for users to be able to understand and compare financial statements. Financial information that goes in to financial statements are to be aggregated on the basis of shared characteristics, as well as introducing a statement of comprehensive income. This is being done so that it is more visible to see the impact on the company’s equity resulting from transactions between the company and its owners in that capacity; such as share repurchases, separately from the impact caused by transactions between the company and non-owners such as third parties. Comprehensive income can be displayed in either a single statement or be separated in to two statements including a income statement and a statement of comprehensive income statement. The ICAEW as well as the ACCA have both disagreed on giving the choice between the two as they believe it will lead to confusion amongst users making comparability more difficult. The ACCA also disagrees with the decision to change the name of the balance sheet to statement of financial position on the grounds that the definition of the balance sheet is well known; they feel this change will only result in more confusion especially when preparers are not obliged to use the new title which will result in some prepares taking it up and others not; making comparison more confusing for users. The ACCA are also of the view that the decision to include a statement of financial position at the beginning of the reporting period is not needed and will again lead to further confusion; this information if needed could easily be looked up in the previous year’s report. These changes are not likely to have a major impact on Zotefoams other than the effort required to make these new changes, as the changes have not been made to change how accounting items are treated but rather the changes have just been put in place to affect how some information is displayed as the change in name of the balance sheet, the choice in display of comprehensive income statements and the inclusion of the balance sheet from the beginning of the reporting period, these changes just provide the information to users in a way that it is easier for them to understand the financial position of the company. In the 2013 report a statement of recognized income and expense (SoRIE) was included, by 2009 when the IAS 1 revisions must be implemented; the annual report will have to include a statement of changes in equity in an addition to the SoRIE or choose to combine them into a single statement. This additional information already exists in the annual report in the notes section. Did you find any useful knowledge relating to Financial Reporting and Ratio Analysis in this post? What are the key facts that grabbed your attention? Let us know in the comments. Thank you. The process or the technique of determining the cost of a service or a product is called cost accounting system. The costs are assigned to cost objects only after collected and classified by the cost accounting system. It is used to estimate the cost involved in developing, designing, purchasing, producing, servicing, distributing and selling different services or products. The heart of cost accounting system is cost allocation and Activity Based Costing (ABC) can be considered as a type of cost allocation. In this essay, different approaches to cost allocation and activity based costing are described. The methods used for cost allocation and activity based costing. Activity based costing received focus when attempts were made to improve the methods of cost allocation. The different ways of implementing cost allocation and ABC approaches in for- profit organizations (corporations) and in real world business enterprises (Akyol and Bayhan, 2005). Like any other approach involved in business activities cost allocation and activity based costing also have their strengths and weaknesses and a detailed study of these factors ensures the successful implement of these account systems. The costs associated with these account practices are very crucial and they must be considered very carefully in terms of benefits earned by implementing cost allocation and ABC approaches. These systems could be viable only if they are implemented efficiently and they gain efficiency and profitability. The study further discusses about the main objectives of cost allocation and ABC approaches and the relation between various factors like resources, costs, cost drivers and activities. It also signifies the methods of cost allocation like direct allocation, step- down allocation and reciprocal allocation. Activity Based Costing (ABC) has been discussed elaborately for allocating costs to services or products and the different steps involved in the process. The recommendations made in this paper could be used by the users as guideline for charging the fixed and variable costs of one department to other department of the organization (Peter B.B. 1997). The process or the technique of determining the cost of a service or a product is called cost accounting system. The costs are assigned to cost objects only after collected and classified by the cost accounting system. Therefore, the process by which some costs or groups of costs are linked with one or more cost objectives, like divisions, departments and products, is basically called cost allocation. Generally, cost objectives which are responsible for causing costs are allocated costs. Costs are linked with cost objectives by selecting appropriate cost drivers. A cost driver is called cost allocation base when it is used for allocating cost. Major costs are allocated, such as cost of raw material for a manufacturing firm or cost of building material for a construction firm are allocated to departments, projects and jobs on an item basis by utilizing cost drivers like quintals of raw materials or tonnes of building materials consumed where as other costs, considering individually, may not be so significant that they need to be allocated individually (Peter B.B. 1997). They are pooled and then they are allocated together. Hence, a cost pool may be defined as a set of single costs allocated to cost objectives utilizing an individual cost driver. For instance cost of everything which are measured in square meters and occupy space like rent of the building, cost of utilities and janitorial services can be pooled together for allocation. Or all the operating expenses of the registrar’s office of a university can be pooled together and it can be allocated to the respective colleges as per the quantity of students enrolled with each department. In brief, the costs caused by the same factor should be given in the same pool. Those factors are called cost driver. In practice, many terms are used by the companies for describing cost allocation. Such terms can be attributing, trace, allocate, reallocate, distribute, assign, burden, load, reapportion, apportion, etc. For describing allocation of costs to cost objectives any of the above mentioned terms could be utilized interchangeably (Cooper and Kaplan, 1988). The type of methodology used to measure the cost and the performance of different activities, cost objects and resources is known as the Activity Based Costing (ABC) and it is one of the most important aspects of the organizations engaged in specially manufacturing or service. For the traditional accounting systems based on costs it is regarded as the best alternative epitome of the accounting system. Presently, the organizations engaged in manufacturing and service sector are forced by the global competition for increasing productivity and reducing associated costs and for this they have to be greatly automated and more integrated and flexible. They can only sustain in this competitive world if they adapt to a mechanism of calculating costs which is more than accurate. Activity based costing is regarded as the best alternative of the traditional methods of cost accounting and it is used now a days for assigning costs, using various cost drivers, to activities, further for allocating costs to products on the basis of use of these products for these activities. ABC is used to reduce the stake of distortion and gives information about costs accurately by utilizing various activities as cost drivers (Akyol , and Bayhan, 2005). According to activity based costing, the total cost of a product or a service is calculated by adding the cost of all value added activities involved in the production with the cost of the raw material. It can be explained in different words as the activity based costing method is used to link the cost of activities performed for usages of the resources of the organization (inputs) to the final outputs like services, customers and above all products. Purchasing, engineering, technology, design, quality control and production are prime activities required for a product and each of these activities use resources of various types, for example the working hours of the supervisors or engineers. The activities performed by these resources are measured by cost drivers (Peter B.B. 1997). The costs that can be associated directly to the product, as per traditional systems of cost accounting, are labor and direct materials. As per activity based accounting system, there are two types of activities – a. value added activities and b. non- value added activities and generally non- value added activities are reduced for improving the performance. ABC is quite useful in calculating costs accurately but it involves extra effort and expenditure for collecting the information required for cost analysis. These difficulties which come across in designing a cost model can be reduced by using a tool properly designed (Peter B.B. 1997). For computing valuations of assets and income, cost allocation is done to projects and products for measuring costs of goods sold and inventory. The purpose of these allocations is to provide frequent service to financial accounting. Managers often use the resulting costs for performance appraisal, motivating employees and other managers and planning. .The current input costs and changes in operating costs were reflected by the revised Inventory Costing System. These information were used for making cost allocations(Akyol , and Bayhan, 2005). The importance of allocations is quite visible in the above example and furthermore it has many intended uses (Peter B.B. 1997). In real world business enterprise the ways of implementing cost allocation and ABC approaches are different and they depend on the need and requirement of the enterprise. There is no any defined way of implementing cost allocation and ABC approaches in the real world business enterprise which can be implemented universally. The following example of a transmission company (PJM) illustrates the understanding of the ways of cost allocation. It classifies various methods of transmission cost allocation used in the United States and the world. The following five categories don’t stand alone but give a general idea about cost allocation (Cooper and Kaplan, 1988). Direct Method – As per the name suggests, by direct method, any other service departments are ignored when the cost is being allocated for the department directly to the operating (revenue – producing) department. It can be explained as, the services provided by facilities management to personnel may be ignored as it is a kind of support provided to personnel by facilities management. The cost allocated for facilities management depend on the square meters area used by the production department only. Similarly, the costs of personnel department are allocated to the production department only depending on the number of workers working with it (Akyol , and Bayhan, 2005). Step- Down Method – It is recognized in the step – down method that the activities of different services are supported by activities of other service departments including production department also. In this method, the allocations are made in a sequence. It starts with the service department providing the greatest service in terms of costs to the largest number of other service departments. It ends with the service department providing the least service in terms of costs to the least number of other service departments. For example, in this method, the cost would be allocated to facilities management before it is allocated to personnel department because facilities management provides more support to the personnel as compared to the support provided by personnel to the facilities management. Once the costs are allocated to facilities management, no costs are allocated back to personnel even if some services are provided to the facilities management by the personnel. The costs of personnel allocated to the production department include the costs allocated by facilities management for personnel (Peter B.B. 1997). Reciprocal Allocation Method – In the reciprocal allocation method the cost is allocated after recognizing that the services are provided to each other by different service department including production department. This method is considered as the most ideal and correct method due to its ability to cost the relationship between different departments completely for the cost allocation to the service departments. For example, as shown in the above methods, in this method the costs of the facilities management are allocated to the personnel department and the costs of the personnel department are allocated to the facilities management department before they are allocated to the department of production. The costs of the services are allocated first which are provided between two service departments (Cooper and Kaplan, 1988). It can be noted that the costs can be affected greatly by the method of allocation selected. For example, using a direct method of allocation can make an operation more expensive in comparison to other methods like step- down method or reciprocal allocation method. Similarly, finishing can be an expensive operation if non- direct method of cost allocation is used. A number of indirect overhead manufacturing costs can be turned into direct costs by using activity based costing systems. Direct costs mean the costs recognized specially with selected cost objectives. ABC enables managers to select appropriate cost drivers and activities to recognize numerous overhead manufacturing costs and cost objectives as simply as traditional accounting systems enable them to recognize direct material costs and direct labor costs. ABC based systems classify most of the costs as direct cost which is not the case in traditional accounting systems. ABC system gives great confidence to managers as far as costs of services and products are concerned because they have more information (Özbayrak, Akgün and Türker, 2004). Introduction of new technologies are increasing the share of indirect costs and presently in manufacturing world indirect costs are more important. Automated machines are replacing direct labors. The costs of developing and operating systems are reduced substantially by the use of computers (Cooper and Kaplan, 1988). Determination of key activities, cost objectives and resources to be used is to be known and analyzed by the managers. They also need to identify the output measures (cost drivers) for each activity and resource. The last and final step requires calculation and interpretation of the new information based on ABC. A computer is required for the last step because of the complexity involved in activity based costing systems. The process of using ABC information for improvement of operations is known as Activity Based Management (Cooper and Kaplan, 1988). By considering the above mentioned benefits of ABC system the cost involved in its implementation becomes regardless as the system enables to make calculations accurately which is very important for determining the profits. The cost involved in the implementation of ABC system is so high that it is beyond the reach of small enterprise but the benefits are so important that big enterprise cannot manage without it (Özbayrak, Akgün and Türker, 2004). Activity concepts are utilized by Activity Based Costing systems which enables it to link successfully the costs of product to the knowledge of production. For example, what is the process of producing a product or service, what is the time required for the performance of an activity, and finally what is the amount of money required for performing the activity? These all questions are answered efficiently by ABC system of accounting (Cooper and Kaplan, 1988). ABC systems are used for inventory of products and determination of income. This is done by using the physical units or method of relative-sale-value. It is becoming popular gradually due to its ability of assigning costs to various activities within an organization, tracing costs to products or services depending on cost drivers measuring the reasons for the costs of the activity. It helps in improving profitability of the organization by quality improvement and waste elimination. It also increases profitability by focusing on quality, reducing inventory, making production cycle short and by flexibly using human resources and operating assets. As these factors are non- value added activities and it results in reducing operating costs and increasing profitability (Özbayrak, Akgün and Türker, 2004). The traditional systems of accounting are gradually becoming irrelevant in the present competitive business world when things are changing very fast. Traditional costing system under costs the product because they are not able to consider the hidden costs involved in production. ABC systems enable to cost accurately and hence to calculate profitability accurately. Sometimes traditional methods over cost the product due to their incapability of calculating costs accurately and the price of the product become incompatible in the competitive market. In nut shell it can be said that businesses have to adopt the Cost Allocation and ABC systems to sustain in the competitive business world. It is an expensive practice but keeping its utilities in mind the cost becomes negligible because it enables businesses to calculate profitability accurately without which business has no meaning. Cokins G. 1997. “Activity-based cost management making it works,” McGraw-Hill. Inc.
Singh W. and Ramnik. AICPA committee on Terminology. Accounting Terminology Bulletin No. 1 Review and Résumé.